Ulswater, Cumbria. Olympus EM5 + 9-18 Olympus lens. f/9.0, 1.3″ at ISO200. I don’t mind admitting that I struggled to find a Friday image to post today. In the end I had to go back to the end of December when I visited the Lakes. The weather seems to have been terrible of late and it’s getting pretty depressing. It’s made all the worse knowing that I have a newly Infrared converted EM5 and also 12 new rolls of Infrared film for the XPan. I need some sun. I wish I could send you some sunshine from sunny Florida!😄. I hope you have a nice weekend too. Very nice, also very sharp. I am considering this lens and was curious about its colour fringing and also as to its ruggedness when extended for supporting a lee filter system. I currently have the 100mm setup as a hangover from my D700 but am considering the seven5 system if I can get a good price for the current kit. I like this lens a lot. I haven’t noticed a particular problem with colour fringing. It’s very sharp and enjoyable to use. You should be able to work using the 100mm filters (it’s a 52mm screw thread) but the Seven 5 is perfect for it and is what I use. The lens doesn’t feel as weighty as the Panasonic 7-14 but I have both and for Landscapes I always turn to the Olympus 9-18. A really nice feature is that it collapses down to a very small unit. The only downside in my mind is that it’s a little costly but still a great lens. Hi Robin. How do you feel the 9-18 and the 7-14 compare in terms of sharpness, especially in the corners? The 7-14 is sharper but the 9-18 performs very well. It only tends to drop off on corner sharpness when at the 9mm end. As much as I like the 7-14 I find the 9-18 a nicer lens to work with. Would love to have seen the same scene also done on your RX10 for interest! In all honesty, if I had it with me I would probably not have used it. The location was very cramped and the RX10 only has a 24mm lens. I this is shot at 18mm. What I suspect if I had been able to use it is that the blues in the scene would have been amazing. Sony really seem to understand colour. 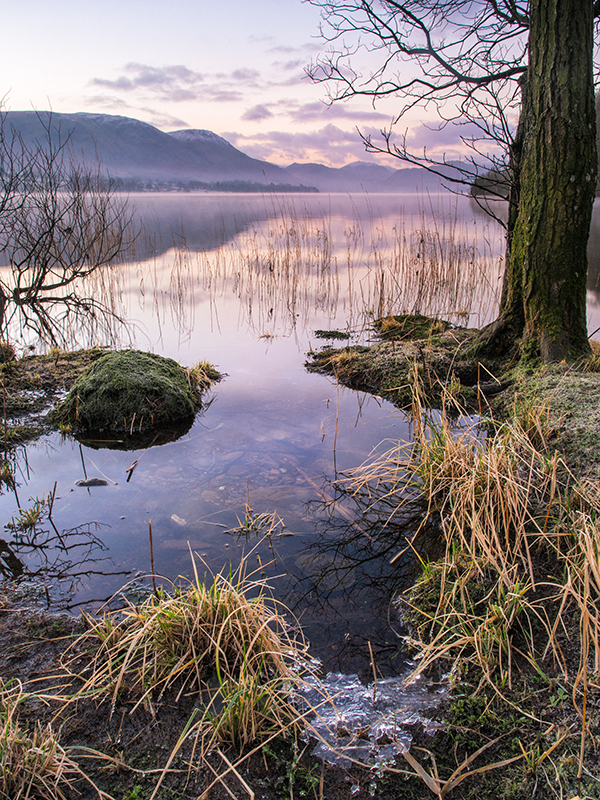 The colours in this shot are a peaceful delight – appropriate for Easter, perhaps? Thank you. I do love the early morning light in Winter. Beautiful photos. Have an LX7, and love he form factor. Have you tried the LX100 yet? Thank you. No I haven’t tried the LX100 yet. To be honest I find the limited zoom range a little off putting.